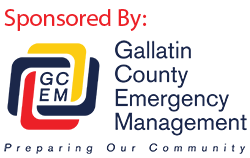 The City of Bozeman and Gallatin County have been working with the Federal Emergency Management Agency (FEMA) and the Montana Department of Natural Resources and Conservation (DNRC) to update floodplain maps for the West Gallatin River and Bozeman Creek and its tributaries. Updated flood insurance rate maps will provide more accurate flood risk information that can help local officials and residents make informed decisions about reducing flood risks and purchasing flood insurance. Before new flood insurance rate maps become effective, there is a 90-day Appeal Period during which local residents and business owners can provide additional data for consideration before the maps are finalized. The appeal period runs September 20 – December 18, 2018. The existing floodplain maps for the West Gallatin River, Bozeman Creek, Matthew Bird Creek, Nash Spring Creek, Flat Creek and Mill Ditch Diversion were produced from studies conducted more than 30 years ago. Revising the maps is a key step in providing the best available data to help keep families, homes, roads and other infrastructure safe from future flood events. The proposed maps and information about the Appeal and Comment Period are available online at www.floodplain.mt.gov/gallatin or www.bozeman.net/floodplain, or at the Gallatin County Planning Office or the Bozeman City Engineering Department.